This month we were focusing on Ocean animals. 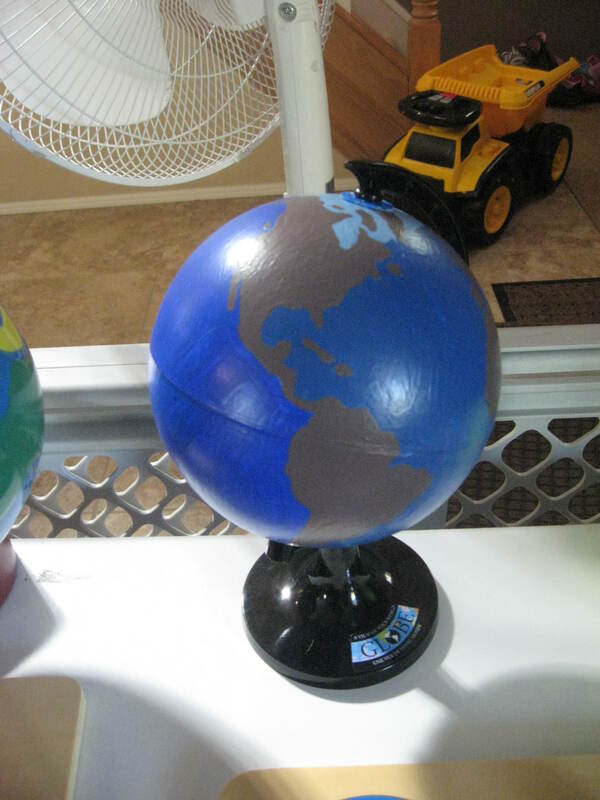 I’ve never seen an globe of the world oceans for sale on any Montessori site but the Keys of the World albums mentions it. However, I figured it wouldn’t be too hard to make and it wasn’t. 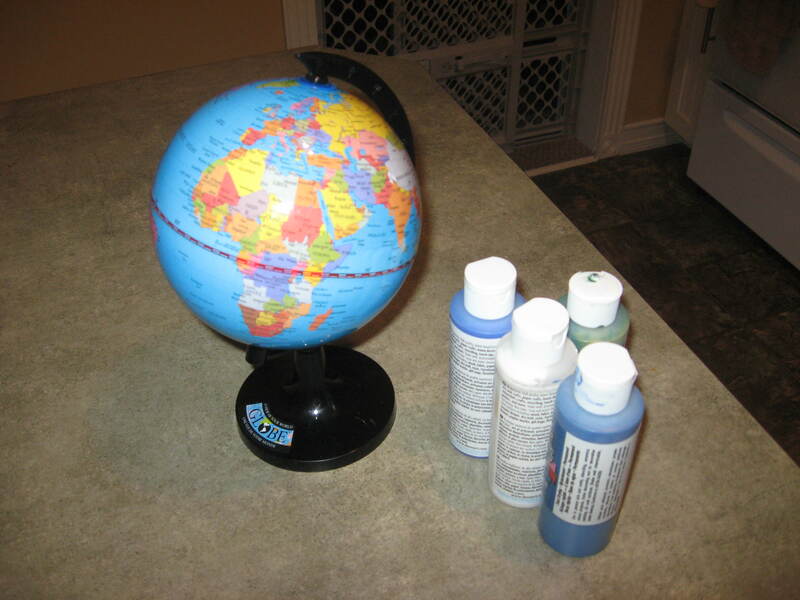 I started off with a globe I got from Dollarama and acrylic paints from there too. I started with painting the oceans. I had two shades of blue and I made other shades by adding white. 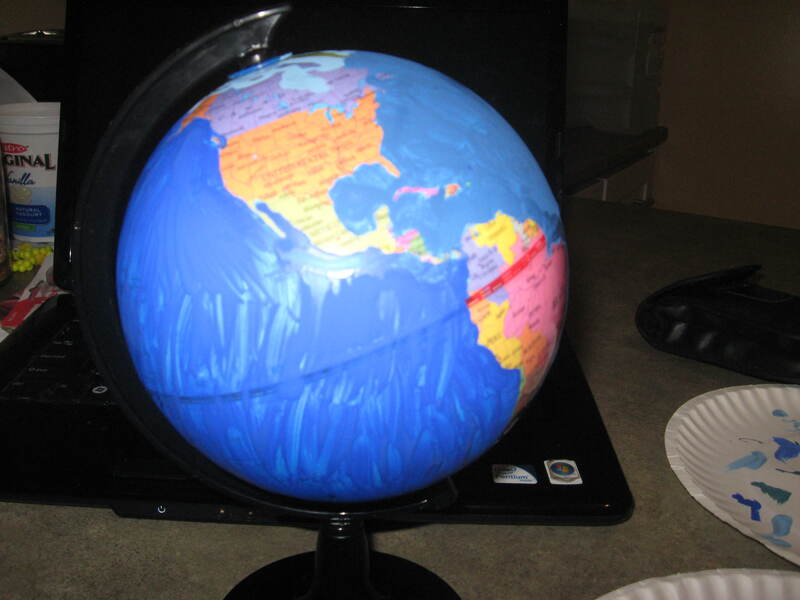 I referred to this map to know where the oceans were and the globe had longitude and latitude lines on it. I followed the 60 degrees south line for the Southern Ocean. The painting is rather tedious going around the edges and islands. I suggest you have a small brush. 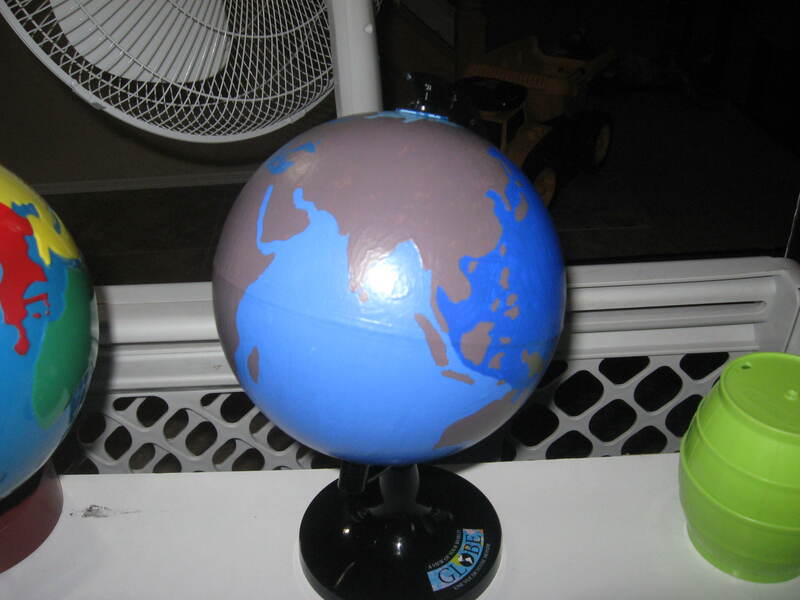 Since the globe’s finish was shiny it didn’t stick well. I did two coats but it could have used 3. Next I painted the land brown. By now it was 11:30pm (thus only 2 coats not 3) and I let it dry overnight. The next morning I applied two coats of Modge Podge to seal it. It turned out rather well and was so inexpensive. 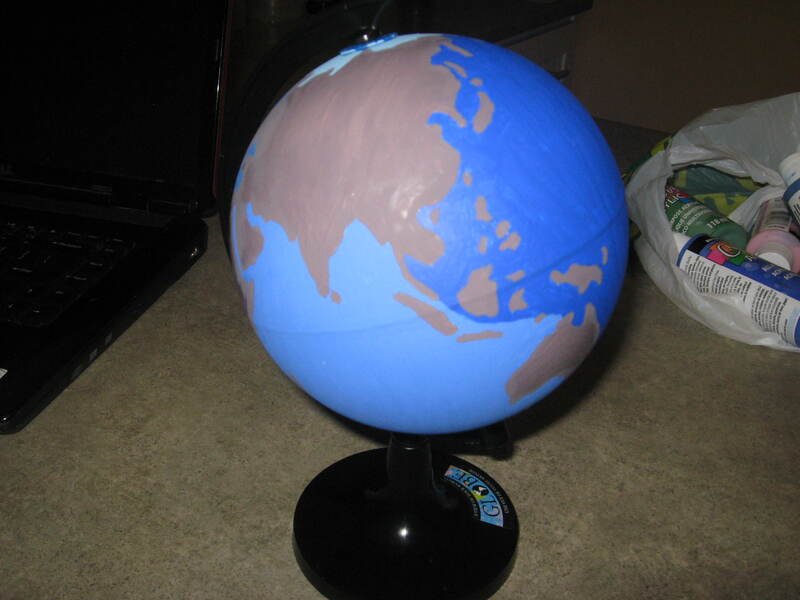 You could easily make your own continents globe. 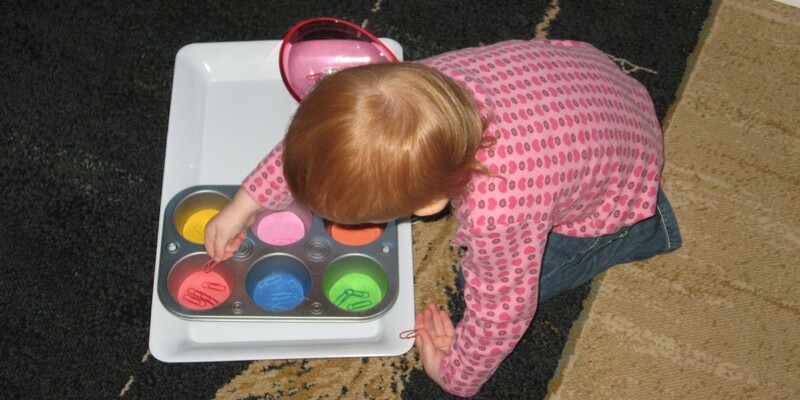 Just remember to use the Montessori continent colours so it’ll match the World puzzle. 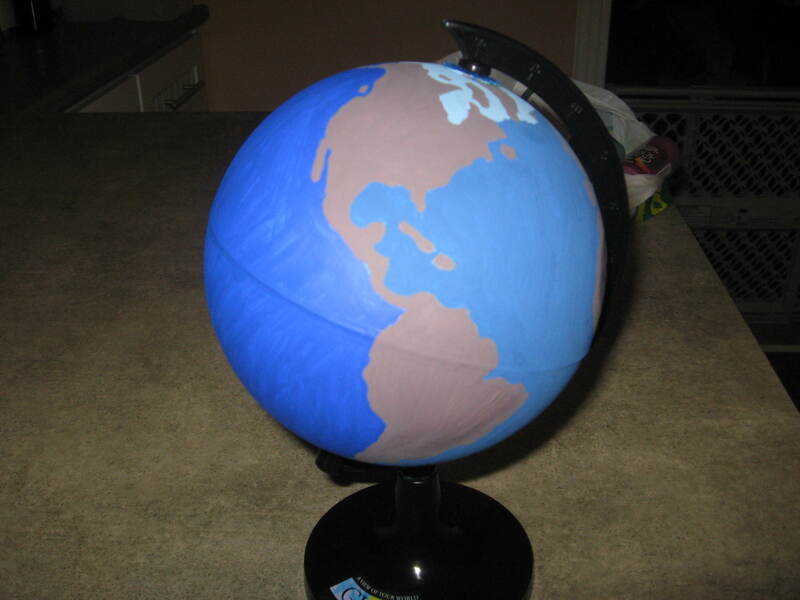 This entry was posted in DIY, Geography and tagged DIY world oceans globe, Montessori world oceans, Oceans, World Oceans globe by chandni3. Bookmark the permalink. Love this Alisa! My local Dollarama has the exact same globes, so this will be a project for us in the future 🙂 Pinning it!